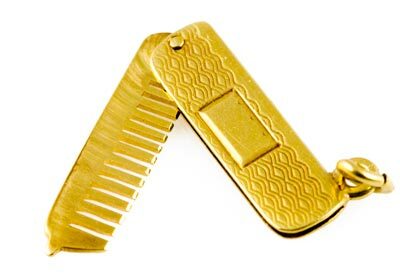 Pocket comb, purse comb, folding comb, whatever -- it's very cool. Particularly if you are into hair. Very finely textured, except for the place for engraving your initials. Tests 14K. 15.4mm (0.61 in.) long when folded, excluding the bail. Weight 0.9 grams.